The Fluffy Dog cocktail is pretty simple, and it’s all about sweetness. The flavor is like butterscotch with a strong hint of orange. 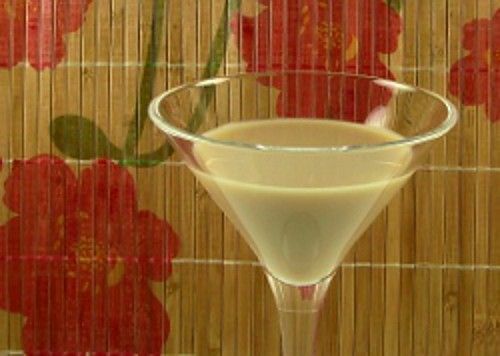 This drink makes a very nice aperitif or dessert drink. It’s extremely smooth and easy, and you really can’t taste the alcohol. It’s similar to a B-52, but a little bit lighter and less mellow. The orange in this drink comes through a little stronger, and it’s wonderfully uplifting. Fill a cocktail shaker with ice and pour in the ingredients. Shake until chilled, and strain the mixture into a cocktail glass. Delicious winter in a ski Chalet or summer by the pool.